These guidelines are meant to provide some guidance for Squash players and prospective Squash players. They are not a substitute for proper medical advice. 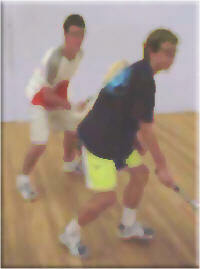 All players should satisfy themselves that they are capable of playing Squash without the risk of injury or illness. We strongly recommend that you read and follow this section (including tabs above) and Squash Protocol for the on-court code of behaviour. Read what the Medical Advisor says about injuries in racket sports. Squash can be a high intensity sport and, as such deserves to be approached with some caution especially if you belong to one of the high risk categories. As with any physical activity there is always a danger of injury but if these guidelines are followed, it will reduce (but not eliminate) the dangers of participation. If you have never played or it is some time since your last game, be sure that you don't over exert. 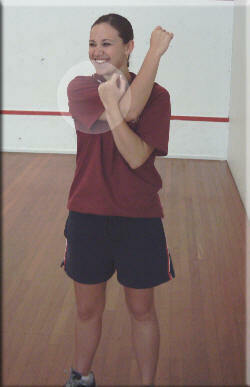 Squash can be a quick game, be aware of how hard you are pushing yourself. If you have not participated in an intense sport for some time be aware of trying to do what you used to do. Because of the nature of Squash, a very quick rally is sometimes not felt for up to 10 to 20 seconds. If oxygen debt is created, the heart may have to start pumping very quickly to replace the oxygen stores in the muscles. Be wary this can happen easily especially if you have put on a few kilos since your last game! Ease into the sport carefully. If you are over 40 years and still in good shape, you should still see a sports oriented medical practitioner before playing. Ensure that you are fully hydrated before during and after playing. A few glasses of water in the hour leading up to the game will ensure you start hydrated. More water during and after especially in hot and/or humid conditions. (Clear urine is usually a sign of full hydration). Sports drinks can be used in place of water but not "pick me up" drinks like "Red Bull", "V" etc. Cold water is usually metabolised quicker than warm water. Alcoholic drinks such as beer etc., will tend to dehydrate. Do not play if you have an injury or illness that will be affected by your playing. Any injuries occurring during a game should be treated as soon as possible after the occurrence. Advice/treatment should be sought from a suitably qualified practitioner as soon as practicable after. It is strongly recommended that all Squash players wear protective eyewear that at least meets USA ASTM F803 or Australian Standard AS4066:1992. Whilst the risk of eye injury is relatively low, if an injury does occur, it is very often serious. 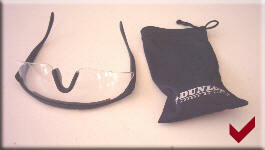 Protective eyewear that meets the aforementioned standards eliminates most of the risk. Do NOT play if you fall into one of the following high risks groups, without first seeing a qualified medical practitioner. If you have been diagnosed with heart disease, do not play Squash (or any other high intensity sport) without consulting your Medical Practitioner. Further check ups should occur every couple of years if you continue to play. who are diabetics with retinopathy. If you are in any doubt as to your eye condition, consult an Ophthalmologist. Pregnant women should not take up squash during their pregnancy. Most can continue to play Squash up to about the 20th week, however they should consult their Medical Practitioner before doing so. Caution should be exercised to avoid overheating and dehydration. Keep the session to 30 minutes or less. Keep the heart rate to 140 bpm or less. Extension during stretching should be reduced significantly because of physiological changes which occur in preparation for the birth. Try to "wind down" during the last 5 minutes of play to cool down. Some light stretching will also help but be sure to under stretch rather than overstretch. Playing Squash or other high intensity physical activity whilst pregnant can be risky. At all times consult your Medical Practitioner. If very fit playing in a more controlled environment (eg, drills); may be possible with the ok of the Medical Practitioner. Last word for players in High Risk Groups. If you are ever in any doubt as to your ability to withstand the rigours of high intensity sport or physical activity, consult a medical practitioner with experience in sports medicine. I wear safety goggles I am afraid to watch the ball in case I get hit. As soon as I hit the ball I move out of my opponent's way. My opponent and I are always bumping into each other. I try to move my body to watch the ball as it travels so I can move into a better position to recover the return stroke. When the ball goes behind me I just hope I don't get hit by the return. By turning side on to strike the ball I can get out of the way easier. The ball keeps coming back to me and I cannot clear the ball. My serves force the opponent into the side wall or back corner. My serves end up down the middle of the court. I felt really fit on court I was huffing and puffing and my asthma spray was at home. It's been extremey useful - and interesting - to read all of your posts.